Cultural Writing. Fiction. Poetry. Essays. INLANDIA puts a new literary region on the map. A land of dramatic landscapes and increasingly dynamic human developments, the Inland Empire is becoming much more than just "the area east of Los Angeles." As tract homes creep over desert areas once thought uninhabitable, the population of the region-comprised of Riverside and San Bernardino Counties-has roughly doubled in the last twenty years and is expected to do the same in the next twenty, making it one of the fastest growing regions in America. Unique in its own history and a microcosm of America at large, it is a land of startling racial, socio-economic, and ideological diversity that has long produced innovative and passionate writing. 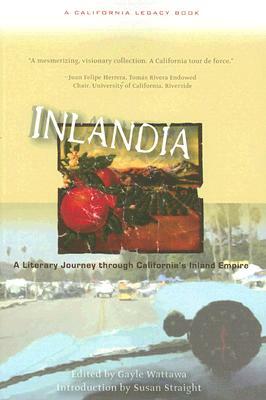 INLANDIA is a fascinating study of the journey of a people bound by geography yet striving for self-identity and artistic recognition, and of a land that is becoming both more prosperous and endangered. Over eighty writers are represented in the anthology, with material ranging from Indian stories and early explorers' narratives to pieces written by local emerging authors.